As (originally) an art major in college, I had a course in printmaking which included learning to make an etching (covering a zinc plate with an acid-resisting ground; using an etching needle to draw lines removing the ground; and immersing the plate in an acid bath which etches the lines into the plate). 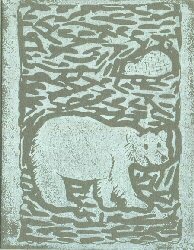 In addition to this intaglio process, I have also made relief prints from carved linoleum blocks (such as shown here). During my sign-painting years in my home town, I also offered silk-screen signs rather than art prints), which is a planographic process. 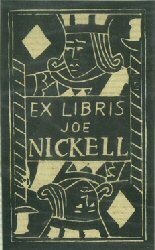 "The Techniques of Printed Illustration," (in Martin F. Schmidt, Kentucky Illustrated, Lexington, Ky.: The University Press of Kentucky, 1992, pp. 3-4).